Home > Daily Banking > Does the Taxman's Latest Blunder Affect You? In the words of the great American president Benjamin Franklin: “nothing can be said to be certain, except death and taxes”. UK taxpayers may be surprised, however, to learn that the Inland Revenue has announced that it has decided to write off the tax bills of almost two million people. So does the taxman’s dramatic u-turn affect you? The Inland Revenue, or to give it its official title of Her Majesty’s Revenue & Customs (HMRC) recently announced that it would effectively write-off the outstanding tax bills of close to two million people. The bills relate to the tax year 2006/2007 and early predictions are that the written off tax bills could amount to close to £30 million in total. So why is the taxman writing off these bills? 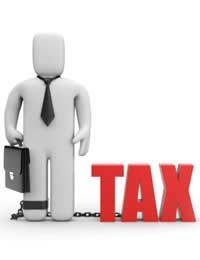 The reason is that there have been serious problems with the tax collection system known as ‘pay as you earn’ (PAYE). This is the system which ensures that income tax and national insurance contributions are automatically deducted from UK worker’s wages. It appears that for almost two million people, the reconciliation process that automatically adjusts their tax bills and makes deductions hasn’t worked properly. These cases have remained open since 2007, but now the HMRC has decided to close these cases, meaning that any investigation already in place or about to be undertaken, will cease. So how does this decision affect you? If you belong in the group of almost two million people, then don’t expect any formal communication from the HMR. It has decided not to write to people explaining that their tax bill has been written off. They say that the decision has been taken because as there is no requirement for people to repay any taxes, then these people are financially better off, so no news is good news in this case. It seems like a reasonable decision, given that most people may not even be aware that their tax files dating back more than three years were still considered open cases. Many people are, however, beginning to question whether the HMRC is conducting its affairs and tax investigations in the most sensible and structured way possible, and this is a further example of the HMRC not communicating effectively with the people it is supposed to be serving. This isn’t the first time the taxman has blundered. Earlier this year the HMRC were embarrassed to have to review that almost 1.5 million people would be required to pay back an average of £1,380 to the Inland Revenue because of calculating errors on their taxes. If you are concerned about your tax code or current status, then you can do something about it. The first step is to review the information contained on your most recent P60 form. You should receive one of these each your from your current employer, and it lists all of the tax you have paid over the previous year as well as identifying which tax bracket you belong to. You can then use the P60 to check whether any errors appear to have been made, for example if you have been assigned the wrong PAYE tax code. If in any doubt about the information on your P60, talk to HMRC and they should be able to explain to you which tax bracket you belong in.